Discussion in 'Penny Stocks' started by Jon Alba, May 17, 2018. Click on the posts sections and you will find very up to date information. For Example, Bambari is now safer and has opened it's market place after four years of being shut down thanks to the UPC rebel group. They no longer exist in the town. As well, many large scale projects that do not have any articles available. Examples of recent posts (Keep in mind you will have to translate them from French to English via the Facebook translator). Bambari is the key town to be secured as Passendro/Ndassima are directly north and where Axmin Inc. has it's gold deposit.
" in the work that is mine, my team and I have found investors. ", he said. Adding that " we sold our country's potential after 18 months of negotiations. A convention has been signed with the central African authorities, we are completing the studies. The total cost of this project is 98 billion francs ". According to reporters, the start of the work is planned to take place both in the capital bangui and in several other cities in the country.
" initially, we needed 5 sites to enable us to make 1 dwellings per site. But the state's concern is to enlarge the city, which is why we planned two sites at bimbo, a site at pk 14 not far from where the university will be built. We have another site on the damara axis and a site in study to landja. In the end, we will try to put 4 000 dwellings around bangui and distribute the 1 000 in high concentration areas, particularly in bouar, Berbérati, bambari and give a new breath to a city like Bangassou. ", he said. It should be noted that because of the armed tensions that have shaken the central African Republic, many houses have been destroyed causing thousands of homeless people So many people still live in makeshift camps. According to the central African authorities, housing needs have increased from about 500 dwellings before the crisis, to about one million today. Illuminate Bambari! The City's enerca takes over the distribution of solar, digital and domestic energy. "the current is back"
Bambari, 11 September 2018, to the surprise of the inhabitants of this city about 350 km from the central African Capital, domestic electricity is back. Once during the crisis, the city was the stronghold of UPC's violent extremist groups, transformed into the kingdom of the Nigerian-born terrorist ali darras who makes honey thanks to the ores minerals and the multiple illicit barriers erected on the axes. Being cornered by the special forces of the minusca and today with the presence of faca who broke the ankles of these sacristans, a few days ago when a network of these terrorists attempted to attack the city station , the replica has been severe, and ghosts have returned to their cogna, so bambari the star of the ouaka finds its tranquility with the return of the vector of growth that is domestic electricity that illuminates the whole locality. 'People's front for the revival of the CAR' and 'Union for peace in the CAR' have said that their organizations are not going to withdraw from the Khartoum agreement. Information on the termination of their participation in the agreement was published earlier in the media. 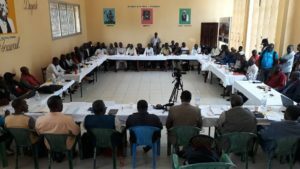 The representative of the 'Union for peace in the CAR' Hassan Bubba, said that his organization is not going to withdraw from the Khartoum agreements: "I confirm that we remain within the framework of the agreements reached," - according to Ndjoni Sango (http://ndjonisango.com/politique/po...rejette-les-allegations-des-faux-communiques/ ) Moreover, Bubba added that the 'Union for peace in the CAR' is going to take part in the next round of peace talks in Khartoum in mid-November. President of the National Defense and Security Council of the People's front for the revival of the CAR, Abdoulaye Hissen, also said that his organization will continue to comply with the agreements reached: "The Khartoum agreements are not in doubt," - according to Africa daily voice (https://africandailyvoice.com/2018/...ccord-de-khartoum-nest-pas-remis-en-question/). Earlier, the African media published reports on the withdrawal of armed groups from the Khartoum peace agreement, which was signed on August 28, 2018. These reports appeared in the media amid the dismissal of the Chairman of the national Assembly of the CAR, who left his post on October 26, 2018. For his resignation voted 98 deputies out of 140. Created in December 2010, the Network of journalists for human Rights in the Central African Republic (RJDH-RCA) works with community radios in the country. Every day, the coordination of the network exchanges information with radio stations on Human Rights and humanitarian intervention. With the support of our partner, INTERNEWS CENTRAFRICAINE, we share the idea that information is a humanitarian intervention. Because we believe that an informed population can prevent conflicts and improve its living conditions in peace. In short, we believe that reliable information can help save lives. French Foreign Affairs Minister Jean-Yves Le Drian made a brief stop in Bangui, Central African Republic, capital. A place the minister had not been to since France pulled out its military in October 2016. The trip comes at a time when the Russian presence is increasingly felt in Central Africa. On an official note, the visit is to emphasize French commitment to the Central African Republic and French desires to pursue and strengthen its involvement around the continent. "The Central African Republic currently needs partners, I think it cannot do without partners and a historical partner like France must keep and hold its place." After pulling out soldiers in 2016, France continues to support and accompany the elected authorities in the African state and appreciates their efforts to stabilize and develop the country in a sustainable manner. It is one of the greatest contributors to the financing of the Central African Republic’s development. France will give the Central African Republic, its restive former colony, aid of 24 million euros ($27.4 million) and weapons, Foreign Minister Jean-Yves Le Drian announced on Friday. "France wishes to continue its historical partnership with the Central African Republic," the minister told journalists in Bangui after meeting President Faustin-Archange Touadera. Le Drian signed aid agreements worth 24 million euros in 2018 for the payment of salaries and pension arrears, to develop regions near neighbour Cameroon affected by massive population displacements, and build bridges to open access to parts of the country. He also announced that France would "soon deliver arms" to Bangui -- specifically 1,400 assault rifles for the Central African Armed Forces (FACA) established after independence in 1960. "We are doing this within the strict, respectful, and transparent framework of the United Nations, in total transparency concerning the origin, the routing, and the delivery" of the arms, said Le Drian. One of the world's poorest and most unstable countries despite vast mineral riches, the CAR spiralled into bloodshed after longtime leader Francois Bozize was overthrown in 2013 by a mainly Muslim rebel alliance called the Seleka. That same year, the UN Security Council imposed an arms embargo on the country. The ban remains in place, except for weapons provided to the security forces with special pre-approval by a sanctions committee. Last year, this committee gave the green light for Russia to supply weapons to the national forces. But in June this year, France, Britain, and the United States blocked a request from Bangui for UN approval of Chinese weapons deliveries. The government controls only a small part of the country, with vast areas under the control of armed groups vying for power and resources. Thousands of people have died, 700,000 been internally displaced and another 570,000 have fled abroad as a result. The African Union launched a UN-backed mediation effort in July 2017. On the eve of Le Drian's visit, clashes between armed groups in Batangafo in the north forced more than 10,000 people to take refuge in the local hospital, according to Doctors Without Borders. BANGUI, November 2 (Xinhua) - UN peacekeepers from the UN Mission in the Central African Republic (Minusca) and Central African Armed Forces (FACA) soldiers stationed in the Central African city of Bambari (center) decided on Friday to open the doors in the northeast neighborhoods of the locality, by dismantling barricades erected by the elements of the rebel movement "Union for Peace in Central Africa" (UPC) chief Ali Darassa, learned Xinhua Friday from local sources. This dismantling of the barricades, the source said, was accompanied by intensive shooting of heavy and automatic weapons from the middle of the day, giving the impression of clashes between the joint FACB-Blue Patrol and rebel elements. Not wanting joint patrols of peacekeepers and FACA in the town of Bambari, especially in the northeastern neighborhoods, UPC rebel elements erected barricades on almost every roadway in their neighborhoods in an attempt to adversely affect the free movement of people and goods, but above all the mobility of these patrols. Last Wednesday, joint force patrols resulted in a confrontation that triggered the use of heavy, automatic weapons to repel the attackers. However, Bambari was chosen as a pilot city "without weapons and without armed groups" by the government where there was a strong presence of rebel elements. November 3, 2018 (KHARTOUM) - Sudanese President Omer al-Bashir extended an invitation to the Congo-Brazzaville’s President, Denis Sassou Nguesso and the President of Gabon Denis Sassou Nguesso to attend the opening session of Khartoum peace process to end the conflict in the Central African Republic (CAR). According to a statement released in Khartoum on Saturday, Foreign Minister El-Dirdeiry Mohamed Ahmed Friday travelled to Congo-Brazzaville and Gabon on Friday to extend an invitation for the leaders of the two countries to take part in the opening session of the talks for peace in the CAR on 15 November. Following his arrival to Libreville, Derdeiry met with Gabon’s Prime Minister Emmanuel Essoze-Ngondeton and handed him a letter from al-Bashir addressed to President Bongo. On the same day, he handed over another letter to the Congolese President Sassou Nguesso at his residence in Oyo. "The Minister conveyed an invitation from President al-Bashir to his Gabonese and Congolese counterparts to attend these important discussions, pointing out that their personal presence will confirm the interest of African leaders in efforts to resolve the crisis in the CAR," said the foreign ministry. "The Congolese president agreed to attend the Khartoum talks on 15 November," added the statement. In mid-October, the Sudanese president sent his foreign minister to both Chad and the Central African Republic to rally support for the initiative to resolve a bloody conflict between the different groups of the central African nation. According to the statement, the Sudanese top diplomat explained during these meetings the preparatory talks held by Khartoum with the opposition groups, which agreed to join the Khartoum peace process. He further briefed them about the positive indicators of the meetings. The Sudanese presidential envoy also informed the two African leaders about the outcome of the meetings held on the sidelines of the UN General Assembly with the African Union officials, African leaders and regional and international partners to push forward the ongoing efforts to end the crisis in the Central African Republic. Last August, the Sudanese government hosted a meeting for peace in CAR including the main armed groups, the Christian anti-Balaka militia of Maxime Mokom and Muslim Seleka armed faction led Noureddine Adam. The Central African government was not part of the Russian-supported meeting. The divided groups signed the Khartoum Declaration of Entente on 28 August 2018 where they accept to negotiate a peaceful settlement for the civil war that erupted in December 2012. However, Two of the five signatory groups of Khartoum Declaration: the National Defence and Security Council (CNDS) of Abdoulaye Hissène and the Unity for Peace in Central Africa (UPC) led by Ali Darassa distanced themselves from the agreement on 19 October. But El-Dirdeiry said they are conducting intensive consultations and meetings to convince all the armed groups to join the process. The United Nations Security Council is weighing a proposal that would see U.N. peacekeepers in the Central African Republic offer support to newly-trained troops as they deploy across the country. A French-drafted resolution would authorize the U.N.’s Minusca mission to “provide limited logistical support” for troops that have been trained by the European Union, according to the text seen by AFP on Wednesday, November 7. The proposal is raising eyebrows, in particular from the United States, which is seeking to streamline peacekeeping operations to reduce costs and make them more effective, diplomats said. The council will vote next week backing “rapid extension of state authority over the entire territory” by supporting the deployment of the vetted and trained troops in areas outside the capital Bangui. President Faustin-Archange Touadera in April called for more peacekeepers to be deployed, and for Minusca to transition from peacekeeping to peace enforcement. Touadera’s weak government controls around a fifth of Central African Republic and relies heavily on Minusca for support. The rest of the country is controlled by at least 14 different militia groups who often fight each other for control of revenue from extortion, roadblocks or mineral resources. The draft resolution also extends the Minusca mission until November 2019 but maintains a ceiling of 11,650 military personnel. Last year, the council increased the authorized number of personnel by 900. Minusca is the U.N.’s fourth largest mission, after the Democratic Republic of Congo, South Sudan and Mali. 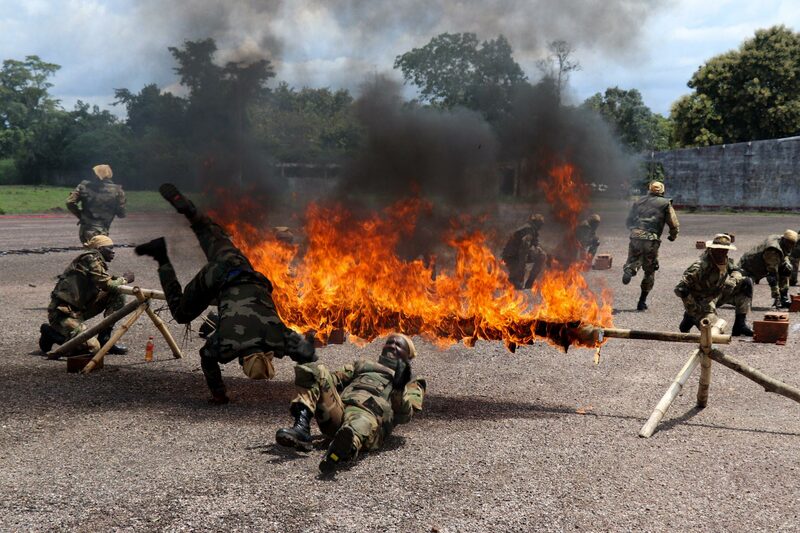 The European Union has trained more than 3,000 personnel to serve in the Central African Armed Forces (FACA). In July, the bloc extended EUTM-RCA until 2020, pledging €25 million ($29 million) to help reform the country’s defense sector. The scope of the mission was also modified to give strategic advice to the president’s cabinet, interior ministry and police, as well as the military. Russian advisors also work with FACA and provide security and advice to Touadera. In August, Russia signed a military cooperation agreement with CAR offering the possibility for Central African officers and NCOs to be trained in Russian military schools. More than 1,000 FACA personnel have completed Russian training programs in CAR, which they undertake after completing the EUTM-RCA program. They are trained by Russian instructors in the use of weapons provided by Russia. 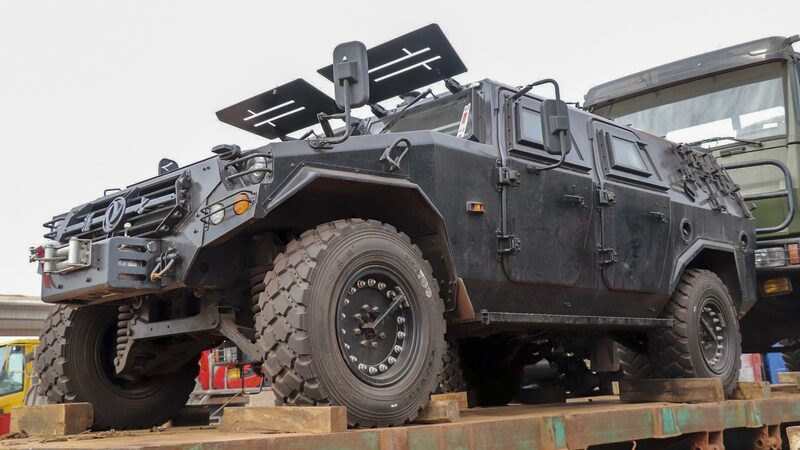 The U.N. Security Council imposed its current arms embargo on CAR in 2013, but weapons shipments for the security forces can be authorized after special pre-approval by a sanctions committee. The embargo was last year lifted by the Security Council to allow delivery of Russian weapons, which the U.N. has since verified with the defense ministry and Russia. Russia’s Ambassador to CAR Sergey Lebanov said on September 17 that a second shipment of Russian arms and ammunition “is in preparation,” and will be delivered once it has Security Council approval. It is unclear if the intended French shipment is instead of or in addition to the proposed Russian delivery. In June, France, the U.S. and the United Kingdom put a hold on a CAR request for U.N. Security Council approval of weapons shipments from China. On September 26, Touadera reiterated a call for “the total lifting of the arms embargo that still weighs on our national army” in an address to the annual U.N. General Assembly. Parfait Onanga-Anyanga, the outgoing U.N. special envoy to CAR and head of Minusca, said the following day that the U.S. had also proposed sending “new quantities of weapons” to the country. Onanga-Anyanga said that the need for weapons was “undeniable” as the Central African Republic government builds its armed forces, but urged transparency in the flow of arms. France, Belgium, China and the U.S. have recently supplied equipment for CAR’s military, but that equipment is understood not to include weaponry. The draft resolution also takes aim at recent Russian efforts to broker peace deals in CAR by specifying that an African-led initiative is “the only framework” for a solution. However, on October 19, two of the ex-Seleka groups said they had withdrawn from the agreement, and a third withdrew days later. The Russia-brokered talks drew criticism from former colonial power France which said there was “no alternative” an on-going African Union initiative, but Russia’s foreign ministry has said Moscow “plans to continue its mediation efforts” in coordination with the A.U. and U.N. Supported by the U.N. and other international partners, an A.U. expert panel has been working to set up negotiations between the militias and the government since July 2017. France, Russia and the U.S. are observers in the A.U. iniitiative. Just days after the Khartoum declaration was signed, representatives from 14 militias held talks that could lead to negotiations with the government, a spokesperson for the A.U. expert panel said. The “positive” meeting ended with a single list of 104 demands, signed by the representatives of the 14 armed groups that would be be put to the government as “the basis for negotiations between the two sides,” Francis Che said. Touadera welcomed the A.U. meetings, saying that “the African initiative is the only frame of reference” for dialogue. To step up diplomatic efforts, the U.N. and A.U. plan to appoint a joint special envoy, while Onanga-Anyanga will become part of the A.U. panel leading the peace effort. Concordis has made a new home in Paoua, Ouham-Pendé province, north of the Central African Republic. The city is a hub of humanitarian and relief activities for the province – hosting an MSF hospital and an UN-secured airstrip. From our new office, we will be able to carry out our community dialogues and peacebuilding workshops right in the heart of important pastoral corridors between Chad, Cameroon and the south of CAR. Timea Szarkova, our CAR Programme Manager and Peter Marsden, our Director of Programmes, headed out to the field last month to prepare Concordis’ arrival in the country. They were delighted to find a home for our project. The office is not only an operational base, but aims to be a true home to our Project Manager, Financial Director and visiting staff. In addition to the house, our garden includes an outdoors, thatched-roof meeting room – or paillotte-, in the pure spirit of Central African dialogue traditions. We are very excited to open our office and start work in Paoua. With indefatigable enthusiasm, our Programme Manager is already back in the field to ensure a smooth start to our activities. We wish her a safe trip and can’t wait to welcome the project staff on the premises. Concordis is delighted to announce that funding has been secured to commence a new programme in the beautiful Ouham Pendé Préfecture, in the north west region of the Central African Republic. With support from UK Aid Direct and the European Union Bêkou Trust Fund, Concordis will be able to leverage its expertise in dealing with conflicts related to cross-border transhumance and help local people identify their own mutually beneficial solutions to avoid recourse to violence in the management of their differences. Based in the pleasant sub-prefecture town of Paoua, Concordis will be able to carry out peace-building activities throughout the region, where conflicts between several armed groups, as well as between herders and farmers, make it hard for peaceful and safe transhumance to take place. These seasonal migrations, which occur not only in relatively small perimeters, but also across the borders with Chad and Cameroon, are one of the most important sources of income for the region. The lack of mechanisms to resolve conflicts and to ultimately allow the resumption of transhumance affects a large number of citizens of the region. We hope to help the local people set up such mechanisms. Concordis will also act as a consultant in several other prefectures in the north of the country, in order to help our partner organisations support them with conflict analysis, beneficiary feedback, and overall conflict sensitivity in implementing their development actions.